Erasmus+ Full International Degree incoming students. International incoming students or trainees on a mobility programme, other than Erasmus+. International undergraduate or postgraduate full degree students. 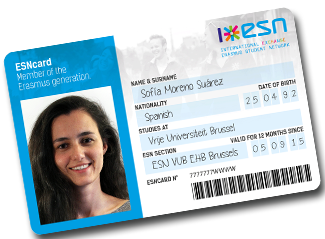 Visit ESNcard.org website and get more information!